All in One VPN client brings all your VPN servers, connection modes (OpenVPN, L2TP, PPTP), support, customization opportunities in one single place. Everything is one click away. So basically you’ll need about three milliseconds to learn how to use it and enjoy the VPN surfing experience like only techies did so far. The only condition is regarding the operating systems: it has to be Windows. So how much will this client add up to the price of using ibVPN? Nothing! We’re giving it away for free as a way to add value and awesomeness to the overall ibVPN use. It’s available for everyone: old&new, free&paying customers alike. 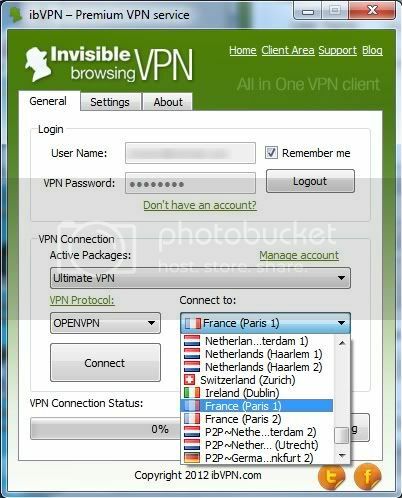 So feel free to See ibvpn offer , download All in one VPN and put it to work. Setup is basically plug&play.